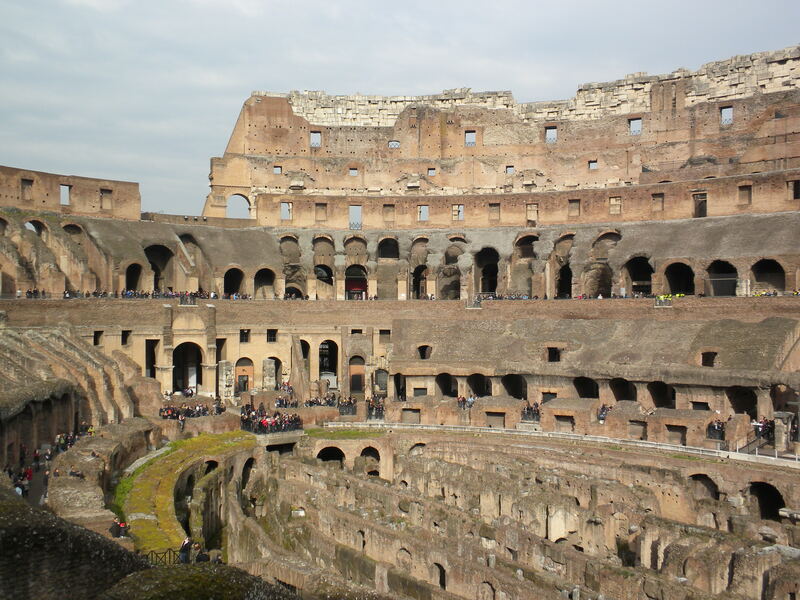 My last tour in Rome was through the Colosseum, Palatine Hill and the Ancient Roman Forum. I have never seen the movie The Gladiator, but after visiting the Colosseum I really want to! If you say “I went to the Colosseum today.”, almost everyone will know exactly where you were, but Colosseum is not the original name of this structure. It was formally called the Flavian Amphitheater because it was commissioned by Emperors who were members of the Flavius family. It got its new name from the giant statue of Nero that stood in front of the Amphitheater. Apparently, if you were an ancient Roman and you wanted to meet up with some friends for a show at the Amphitheater, you would tell your friend to meet you in front of the Colossus, and so the Flavian Amphitheater became the Colosseum. Even though the Colosseum is now in ruins, being inside transports you right back to ancient Rome. What I found incredibly impressive was that the ancient Romans even had a drainage system in place so the thousands of visitors to the Colosseum could use the bathroom. My guide said there is a small part of the ancient drainage system that is still in use today! 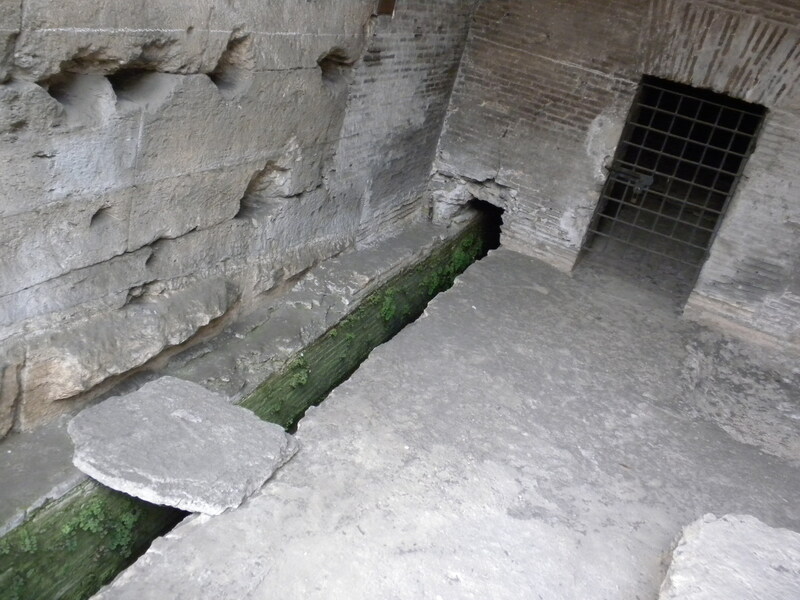 The picture below is the indoor plumbing system in the Colosseum. Palatine Hill is considered the first settlement of Rome. According to legend, Romulus and Remus were brothers suckled by a she-wolf. Romulus went on to found Rome on top of Palatine Hill. Many emperors of Rome have built their homes on Palatine Hill in an effort to emulate Romulus. 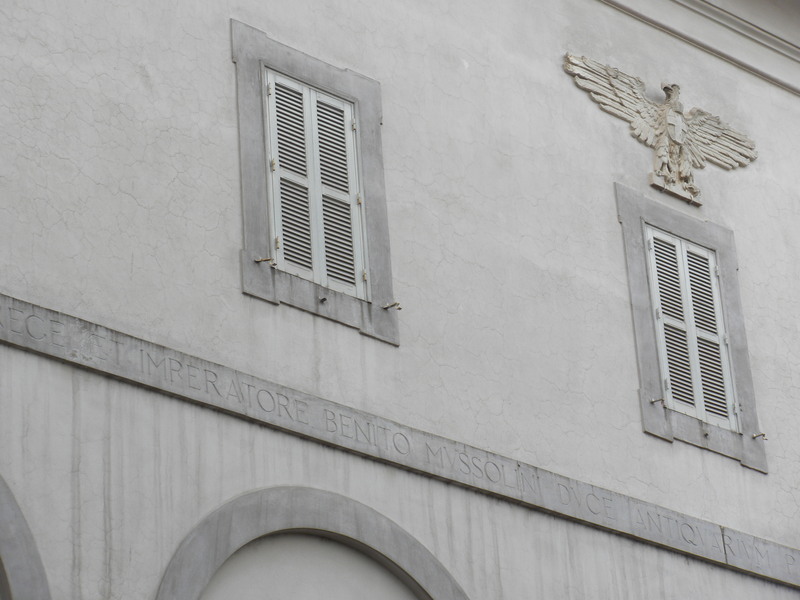 Il Duce himself, Mussolini even lived here. This residence was built on the foundation of an ancient building on Palatine Hill, you can see Mussolini’s name inscribed under the eagle. The last stop was the ancient Roman Forum. It was incredible to walk around the forum on the original Roman road. 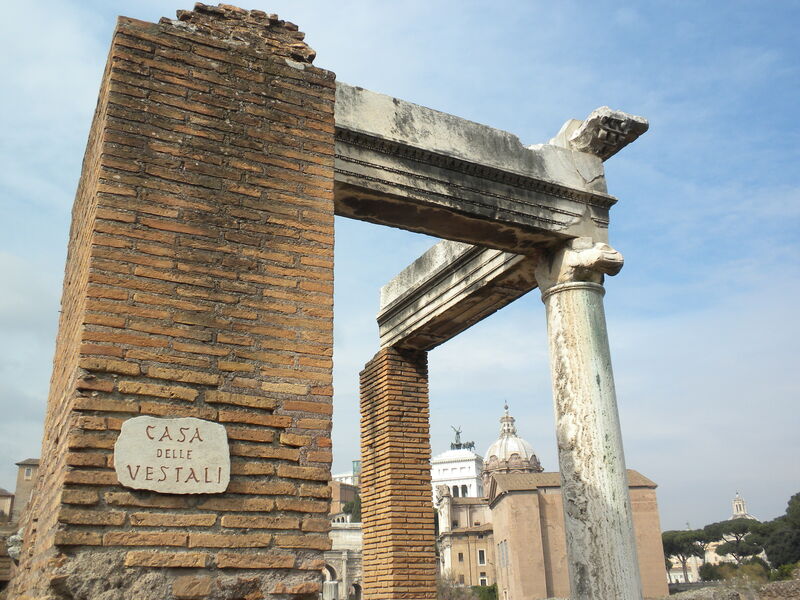 Here is the house of the Vestal Virgins, all young girls charged with keeping the fires of Vesta burning. 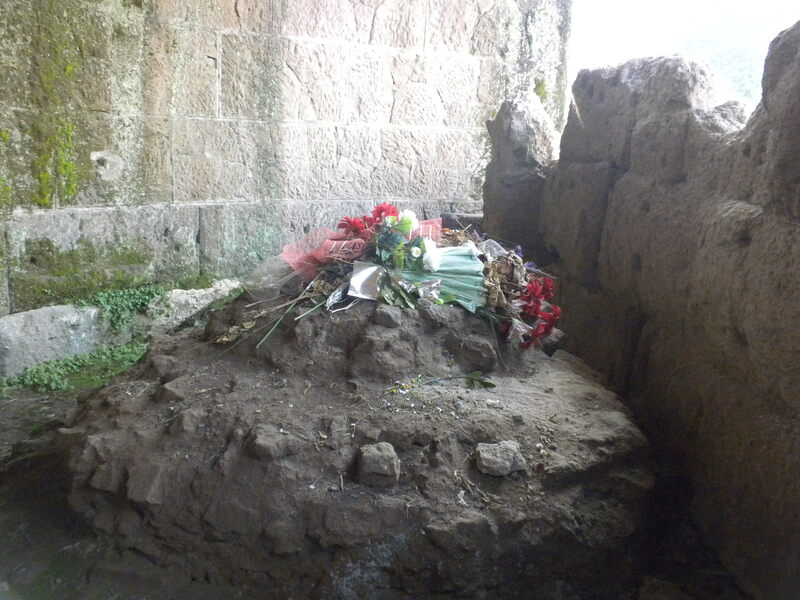 My favorite stop of the day was at the far end of the forum, the grave of Julius Ceaser. His grave is a simple mound behind a small stone wall, near the Senate house. Visitors still bring flowers to lay on his grave. Writing these posts is making me remember everything I wanted to do in Rome but did not have time for. I am going to have to catch the train down for a second weekend soon!